Each year Silas and I have made a little handmade ornament or decoration together for Christmas. 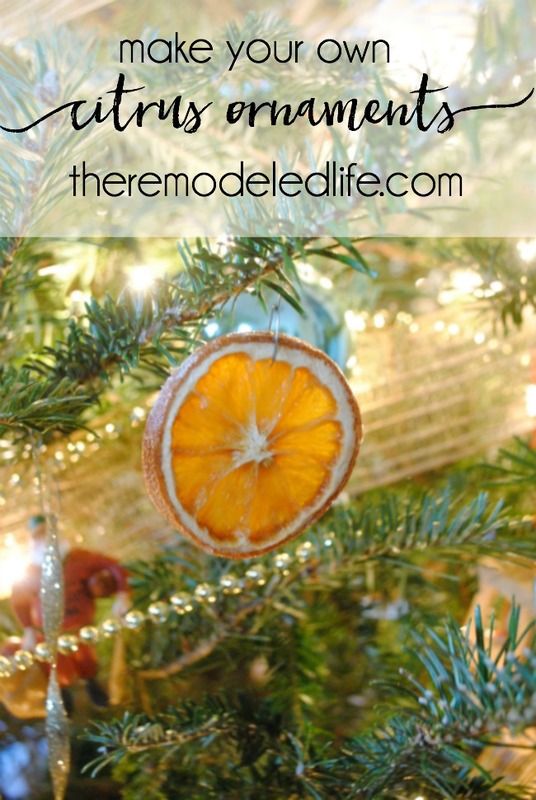 We have done salt dough ornaments, cinnamon ornaments, paper garlands last year and this year we tried our hand in dried citrus ornaments. 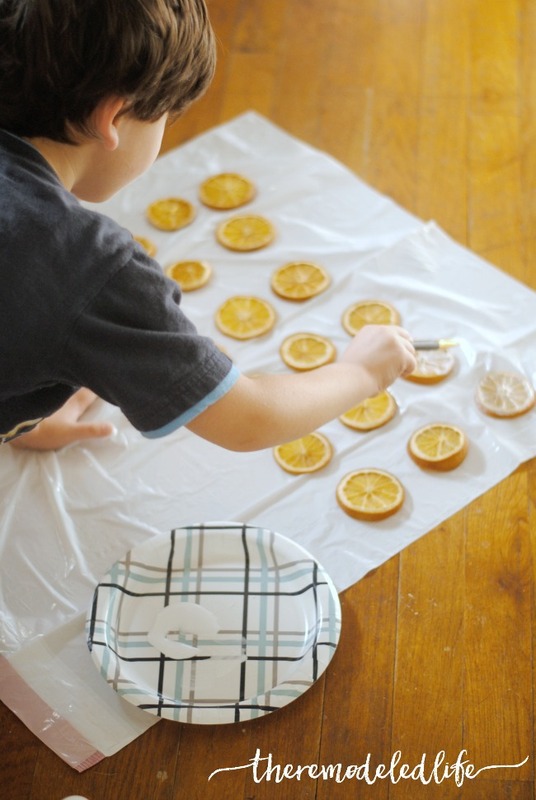 Silas had a blast helping with these and this is a super simple craft to do together with your kids! This was such a fun craft that Justin joined in on the festivities and I kicked back and snapped some photos, listened to a little christmas music and drank some coffee with a little lot of peppermint mocha creamer (I'm pretty sure I'm now addicted to that stuff). 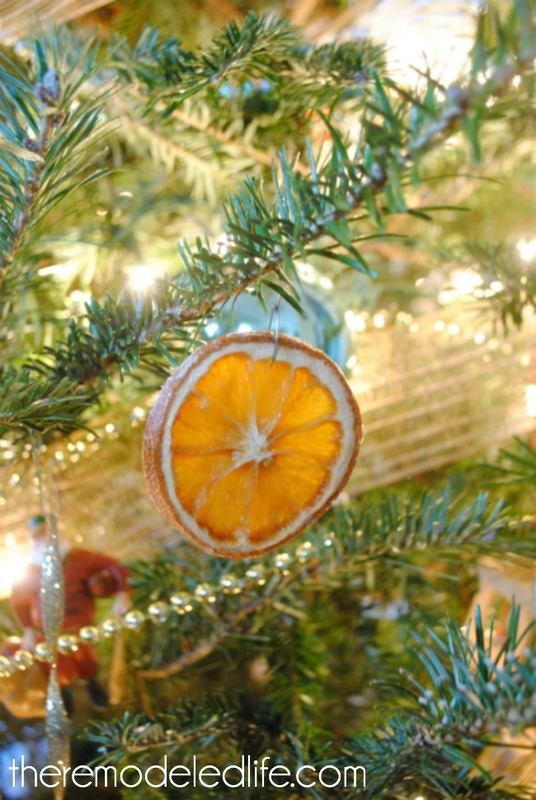 We started by slicing our oranges (and some limes) for our ornaments. 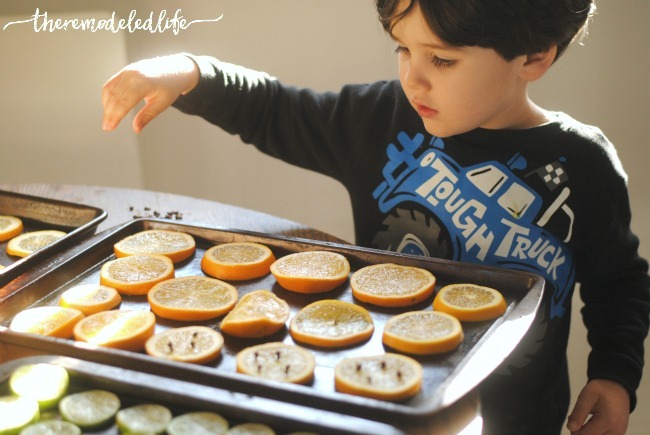 Silas was in charge of arranging them on our baking sheets. I didn't use any sort of paper baking liner - we just put them straight on the pans. Next, Silas added some cloves to some of our ornaments for a little festive touch and for an awesome Christmasy aroma. It really is best to try and make your slices all about the same width...some of ours were a little off but it worked out fine. 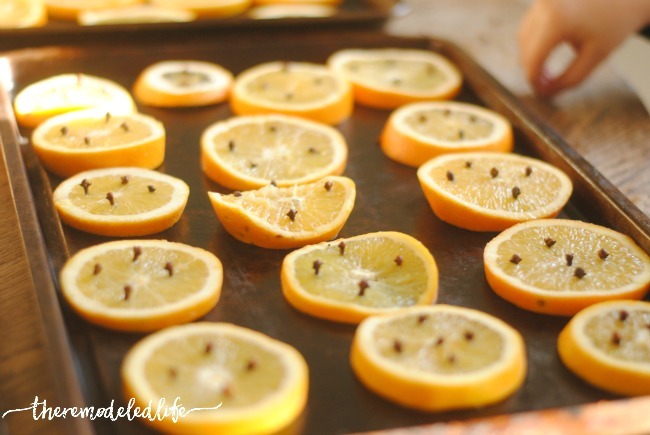 After the citrus slices were all ready we baked them on the lowest setting in our oven for about an hour, then flipped them over and baked them another hour. 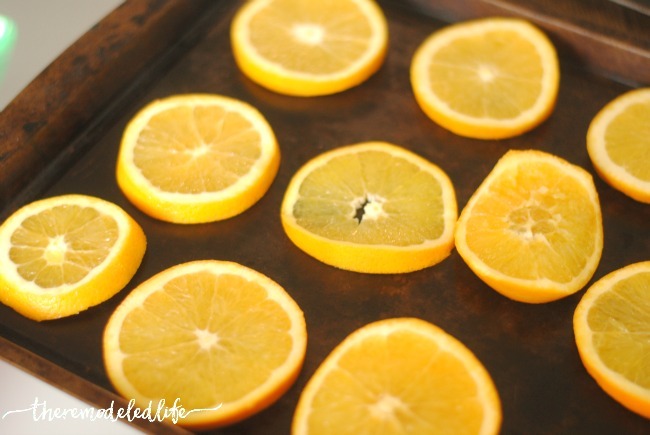 You may need to bake them shorter or longer depending on your oven temp and slice width. After they were all dried out Silas used some modge-podge and painted one side let them dry and painted the other. This helped to seal them and make them a little more durable. 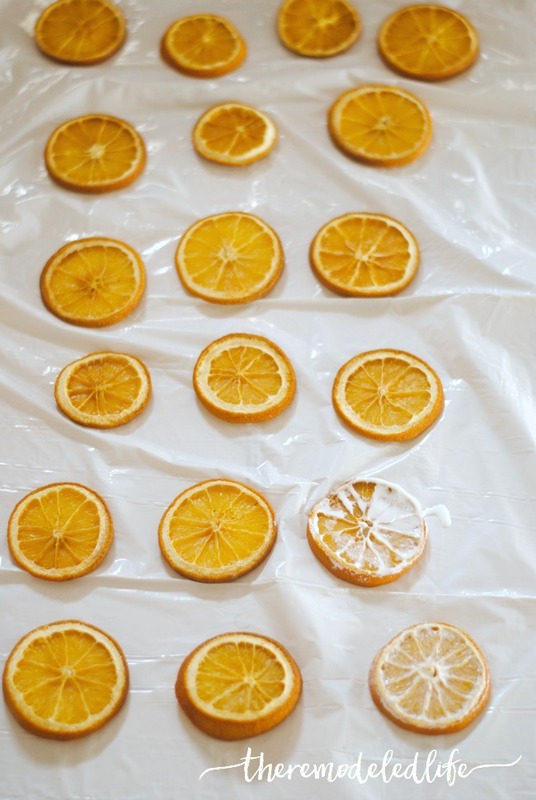 After they are dry you have some great dried citrus slices for all sorts of decorating. We used our as ornaments on our tree. They are so pretty with the lights shining through. 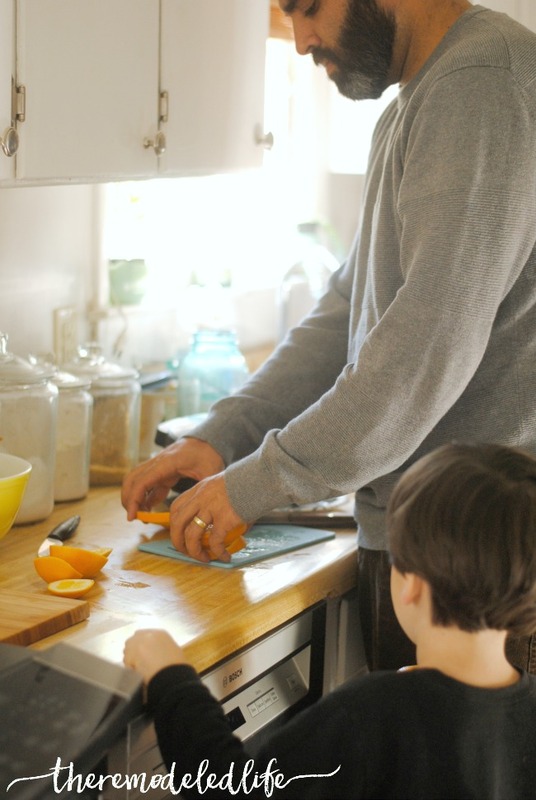 You could find all sorts of ways to use dried fruit for decorating, they would be pretty in a simple jar gathered together or strung together for a little garland. I love the added touch of homemade to a home at Christmas! You can also check out my diy chalkboard ornaments and yarn wrapped ornaments for more ideas!